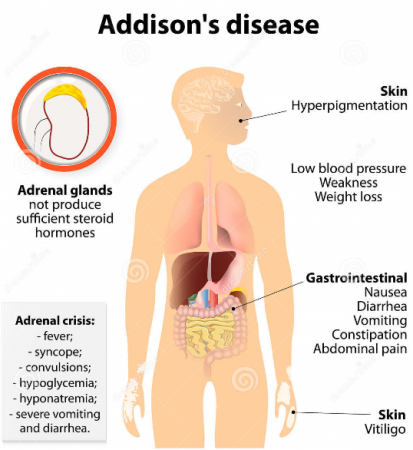 Addison's disease is considered a fairly rare disease of the endocrine system, which accompanies the chronic insufficiency of the adrenal cortex as a result of its one-sided and bilateral lesions. - Long-term drug therapy of individual pharmacological groups. Acute myeloid leukemia (AML) is an oncological disease in which the spinal cord produces abnormal myeloblastic cells (the type of leukocyte cells), erythrocytes or platelets. 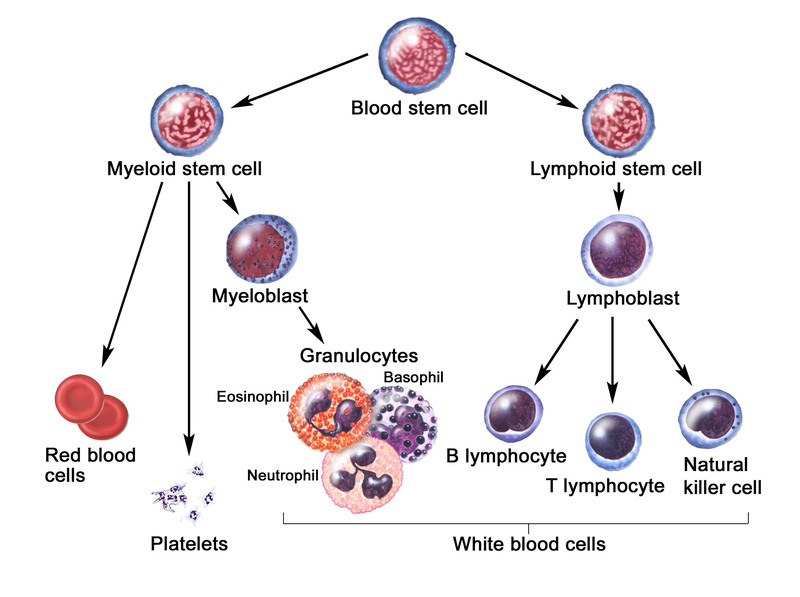 Acute myeloid leukemia occurs in people of all ages, but mostly in adults. The likelihood of developing acute myeloid leukemia increases in the event of exposure to large doses of radiation and the use of certain chemotherapy agents for a malignant tumor. Acute lymphocytic (lymphoblastic) leukemia is a life-threatening disease in which cells normally developing in lymphocytes become malignant and quickly replace normal cells in the bone marrow. 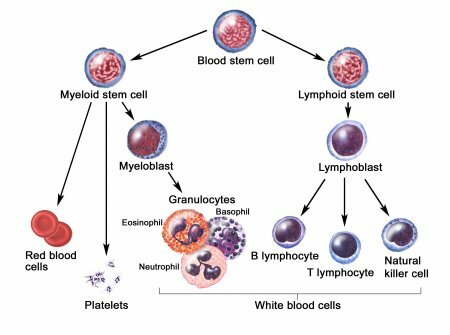 Acute lymphocytic leukemia (ALL) occurs in patients of any age, but it is the most common type of children’s oncological disease and accounts for 25% of all cases of under 15 years old children’s cancer. ALL is the most commonly affected by young children (2 to 5 years). 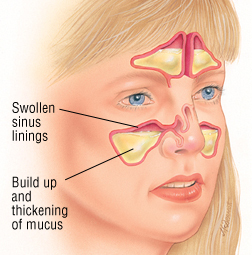 Among middle-aged people, this disease occurs a little more frequently than in patients older than 45 years. 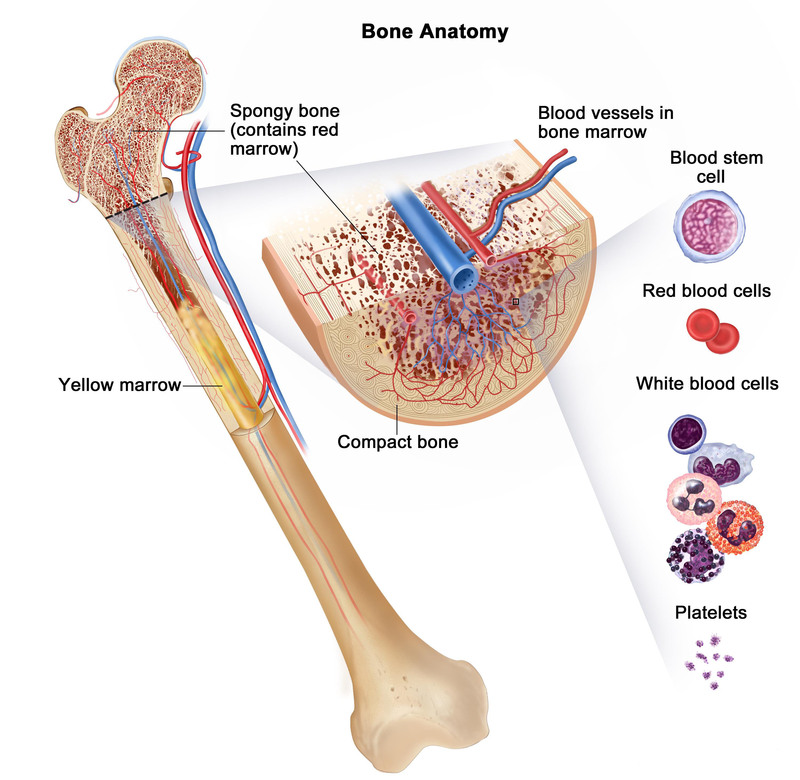 With ALL, very immature leukemic cells accumulate in the bone marrow, destroying and replacing cells that produce normal blood cells. Leukemia cells are transported with blood to a liver, spleen, lymph nodes, brain and testes, where they can continue growing and divide. 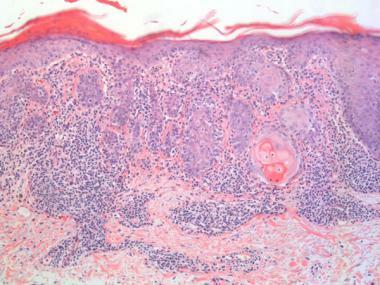 In this case, ALL cells can accumulate in any part of a body. They can affect the membranes covering the brain and spinal cord, causing inflammation (meningitis), leading to anemia, hepatic and renal failure, and other organ damage. Acute liver failure is a pathological condition with massive damage to liver cells and a violation of their functions. 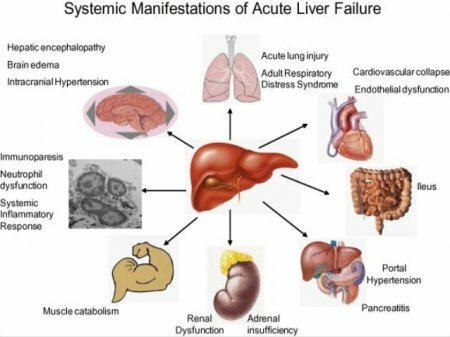 In severe form of the disease may occur a hepatic coma. 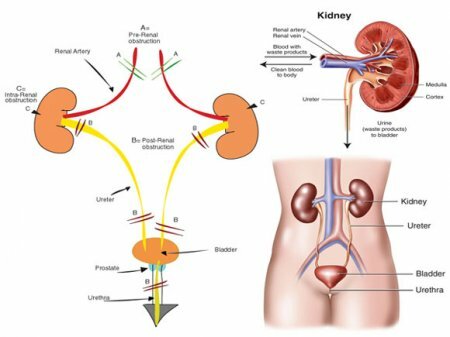 Acute kidney failure is a syndrome of sudden, rapid reduction or termination of the function of both kidneys (or a single kidney), resulting in accumulation of waste protein metabolism in the body. 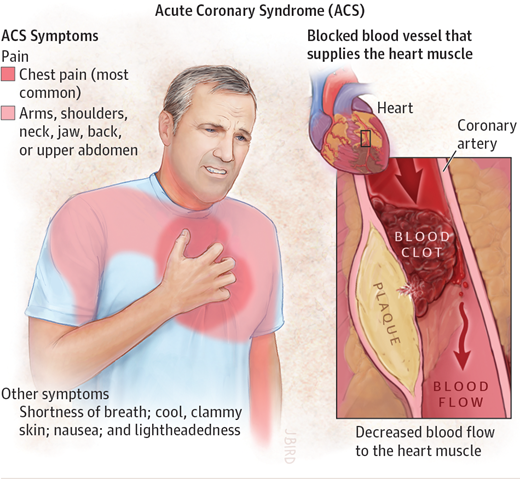 Acute coronary syndrome is any group of clinical signs or symptoms suggesting acute myocardial infarction (death of cardiac muscle cells due to impaired blood flow in this area) or unstable angina (a variant of acute myocardial ischemia, the severity and duration of which is insufficient for the development of myocardial infarction). Like any other organ, our skin is susceptible to various diseases, which is caused by the impact of negative chemical, bacterial, mechanical and other factors. Keratosis of the skin is one of the most unpleasant diseases, expressed in the densification, keratinization of the skin, which as the area of the lesion increases causes discomfort and a lot of unpleasant and painful sensations, including itching, cracks and bleeding, erosion and ulceration. 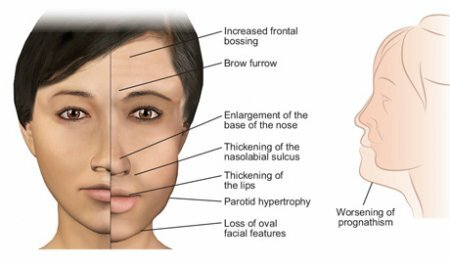 Acromegaly - this is a pathological condition of the organism, in which there is an enlargement of individual parts of the body. Such condition is provoked by excessive development of the growth hormone in the anterior lobe of the pituitary gland. 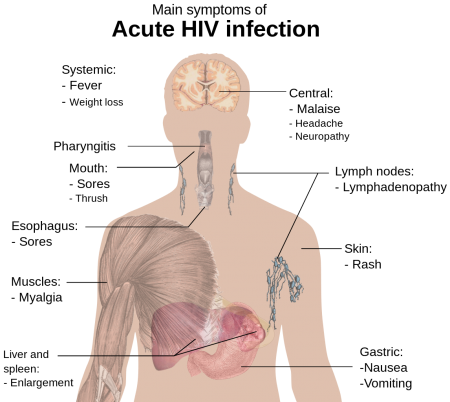 As a rule, men and women aged from 30 to 50 years are more likely to be affected by this disease, but children do not suffer from this disease. It is important to know that acromegaly is a chronic disease, and it occurs in the human body for a long period of time. Human immunodeficiency virus (HIV) brought about a persistent, severe and possibly deadly state named acquired immunodeficiency syndrome(AIDS). 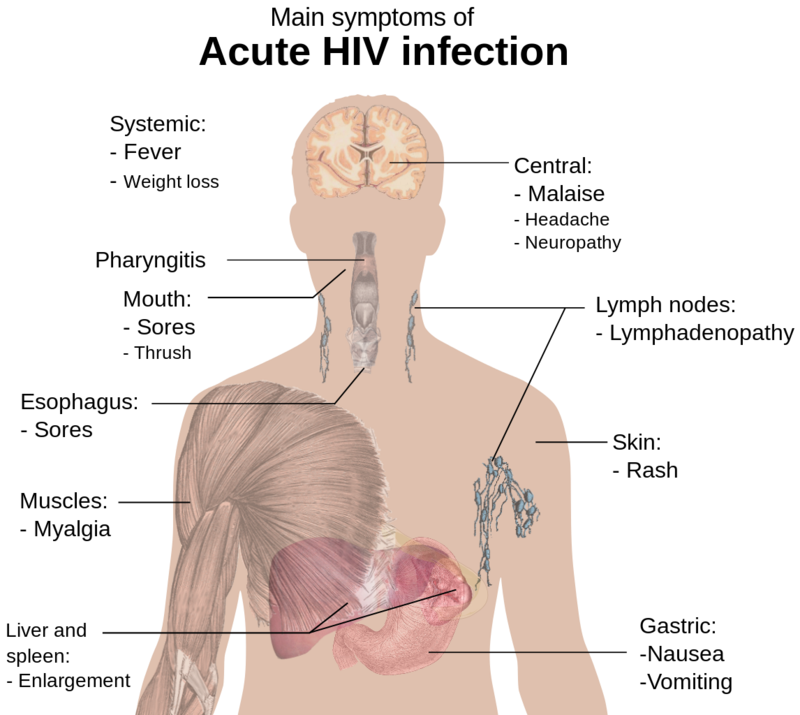 HIV hampers a capacity of organism to struggle with the microorganisms, which make an illness. It harms the immunity. HIV is a virus which can be transferred by a sexual contact, by someone's diseased blood or can be given from mother to child in the course of pregnancy, suckling the baby or birthing. The HIV can deliberate the immunity for many years, so that a person can have AIDS. This condition on the bottom can occur without taking any medicine. HIV/AIDS are incurable. Fortunately several medicines are obtainable for reducing a development of the illness. Leaning on the stage of the disease, the HIV virus complaints as well as AIDS are different.